"I was cut when I was 7 years old. It was not until later, when I gave birth to my daughter, that anyone talked to me about FGM and offered me help. FGM is shrouded in secrecy and too many women suffer in silence through many years of pain. At Dahlia Project we break the silence and provide a safe space and therapeutic support. Working with these incredible women who have gone through so much, seeing them heal and support each other, is inspiring." Leyla Hussein, Founder of Dahlia Project. We need to raise £100,000 to provide safe and accessible specialist counselling services for women affected by FGM. We run groups in locations and at times to suit the women and offer assistance with childcare and transport as well as refreshments and bilingual interpreters. Your donation will help us to pay for the devoted staff members who work with women to raise awareness of FGM and help that is available, as well as paying for the costs of putting on workshops and childcare for the women. Over 137,000 women and girls in England and Wales have undergone FGM. It has devastating lifelong physical and psychological impacts and yet many vulnerable women have no access to support services. 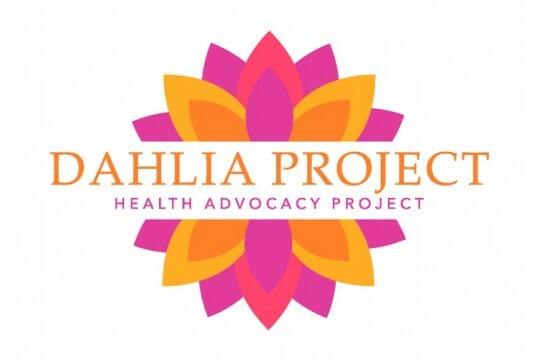 Leyla founded Dahlia Project to reach out to survivors to offer life-changing support. Delivered through Manor Gardens, Dahlia Project's therapists are often the first person women are able to tell their stories to and openly discuss how FGM affects their lives. Your support has been so amazing! We exceeded our original target of £50,000 to keep the service going so now we are able to deliver new therapeutic groups, awareness raising events and workshops to reach more women. Every penny goes towards the Dahlia Project to enable us to support more survivors of FGM in London. Every extra donation means that we can reach even more women affected by FGM who need our support.